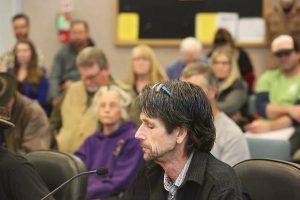 Like most citizens of Nevada County, I’ve been following the news coverage of the proposed marijuana ordinance which has now been partially implemented. I was startled to read that the required permits start at over $500 and that the fee can increase if the county declares that it requires additional time to process the permit, review plans, inspections or code compliance issues. That requirement seems to favor the county in an unfair way and offers opportunities to extort money from growers who are trying to navigate a new and unfamiliar system. Penalties for non-compliance can result in fines of up to $1,000 per day per violation. An unlicensed grower can be charged up to three times the cost of permit fees up to $25,000 per year per violation. Grow sizes will be strictly regulated and enforced and if you live on fewer than two acres, you’re prohibited from growing at all, presumably in an effort to appease those who object to the plant’s odor. I agree with the need to regulate and tax marijuana. Our state will put those dollars to good use. Marijuana used to be known as a beneficial plant in the early days of our country, only becoming criminalized by a propaganda campaign begun during the Great Depression. I began to wonder if another, similar product was as taxed and regulated to grow. Did you know it’s legal to grow your own tobacco? Again, in the early days of our country, it was common and expected for folks to see tobacco growing in a family garden. Tobacco seeds were offered for sale alongside tomato seeds when seed catalogs began making their way into homes and general stores. Today, homeowners are free to grow as much tobacco as they choose, wherever they choose, providing they don’t sell or trade the crop. 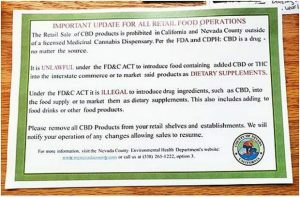 If they decide to market their crop, taxes will be levied; however, the USDA usually doesn’t prosecute anyone for selling small amounts (what’s considered a “small amount” wasn’t specified). It doesn’t matter if it smells like “burning manure” or “raisins and ammonia,” as two tobacco growing websites described it. While absorbing this information, I couldn’t help recalling how military personnel used to be sent off to war with cartons of cigarettes tucked beside their C-rations, courtesy of the U.S. government, thereby creating addicts to the costliest, most addictive drug known to humans. Yet later, when young, scared Vietnam soldiers found that marijuana eased their stress and helped them to sleep better, they were court-martialed, dishonorably discharged and labeled unAmerican. Tobacco has been found to offer three benefits, although the sponsors of the website that topped my query made it clear they did not approve of smoking cigarettes for any reason. It’s been shown to lessen the risk of developing Parkinson’s disease, and apparently, smokers have a lower mortality rate after suffering a heart attack. And we’ve all known someone who’s defended their habit by boasting of its benefit of preventing weight gain. In addition to its popularity for its euphoric effect, marijuana offers its own list of benefits. We know that cancer patients are helped by its ability to curb nausea and increase appetite, as well as lessen pain. We know it helps shorten the frequency and duration of epileptic seizures. PTSD sufferers find it lowers their stress and helps them sleep without experiencing terrifying nightmares. Insomniacs prefer it to prescription medications which leave them drowsy and befuddled in the mornings. I would like to know why our country continues to support this upside down predicament. A product that has been proven for years to be an expensive, stinky, horribly addictive, multiple disease and death causing drag on our health-care system, is legal to grow on your apartment balcony if you so choose, with the blessing of our government. Yet another plant with a long history of proven beneficial attributes that no one has died from is still considered an “evil weed” that must be heavily taxed and regulated from seed to harvest. I can’t imagine I’m the only one to see the irony in this situation. Caryn Marshall Wilder lives in Nevada City.